Woman loses $1,825 to mystery shopping scam posing as BestMark, Inc.
A woman in Houston, Texas is out $1,825 after scammers targeted her using the name of a legitimate company that specializes in mystery shopping. The victim came to Salted Hash's attention after a family member read a post on CSO's XSS blog detailing a resurgence of Walmart-themed mystery shopping scams. The Houston-based victim didn't want her name used, nor did she want to provide additional comments. Though a relative, she shared details of the scam that led her to lose a significant sum of money within a short amount of time. 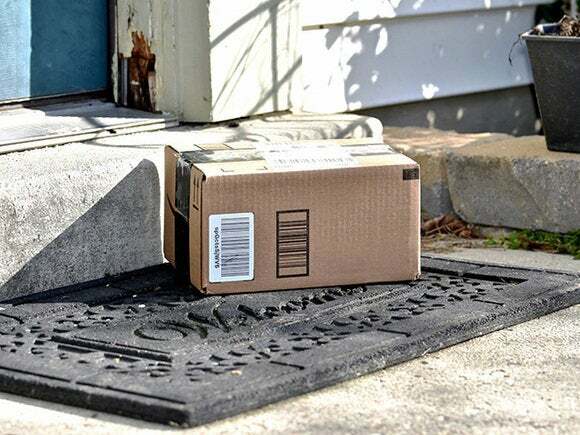 Earlier this month, a package arrived at the victim's home. Upon on a passive examination, it appeared to come from BestMark, Inc.
Based in Minnetonka, MN, BestMark provides mystery shopping services to organizations across the country. A Google search of the company's name will be all most people need to believe what they see in their mailbox – a check for nearly $2,000. Along with the check, the package also contained instructions. Follow-up communications from the scammers, via email and text message, encouraged the victim to follow the instructions and collect her commission. The email the victim received is worded with broken English, but simple enough to follow. The text of the email is reproduced below, with no edits or corrections made. We are glad to let you know that your Assignment package has been delivered. Please let me know if you have received it. Attached to this email is the assignment instruction. Kindly read the assignment report sent to me via email. Attend to assignment as soon as you can in order to have prompt assignment delivery. I will be expecting your assignment report. The first step was to deposit the check into her bank account. Using some of the funds, she was instructed to purchase OneVanilla pre-paid Visa gift cards in the amount of $500. The funds remaining after the purchases are completed were supposed to be hers to keep, payment for her efforts and time. After the cards were purchased, she was to remove all the retail packaging and take clear photos of the front and reverse sides of each card. The images were then emailed to an account maintained by someone claiming to be associated with BestMark, Inc. The same day the images were sent, the cards were emptied of their balance several states away in South Carolina . A short time later, the check bounced and the victim's bank deducted the full amount deposited – leaving her with a loss of $1,825. There's no happy ending here. She's left holding the bag, and the scammers walked away with her hard-earned money. In Tyler, Texas, the Better Business Bureau (BBB) issued a warning last week urging residents not to be fooled by phone calls or job offers concerning mystery shopping opportunities. In their alert, the BBB notes that the scammers are posing as BestMark, Inc., and in addition to USPS, telephone, and email, they're also targeting people on social media. One recent victim was targeted by LinkedIn, and similar scams have been observed on Facebook and job-hunting websites. BestMark Inc. issued a scam alert on their website about the issue, reminding existing and future employees that the company will never require "that you cash or deposit a check that we send you as part of a mystery shopping assignment." Furthermore, the company says they will never send letters telling potential shoppers that they've been selected to take part in a research program, nor would they require any pre-payments before a project was to begin. If in doubt, anyone receiving an offer allegedly from BestMark Inc. should call the company directly during normal business hours Monday though Friday, to confirm the offer directly. The phone number is 952-922-3890. On thing that stands out in these types of scams is their personal nature. It's likely that the scammers are using public records to target people, which would explain how they know names, addresses, and phone numbers. If that's the case, then anyone could be a potential target. But, as yesterday's article on the Walmart scams stated - if something looks or sounds too good to be true, it is.